IPv6 brings us enough addresses until the end of the world. Really? Well… No. There was an interesting talk at RIPE77 called “The Art of Running Out of IPv6 Addresses” by Benedikt Stockebrand that concludes that we will run out of IPv6 addresses some day. This increases the overall IPv6 address space with a factor of 16384. Wow! From to . 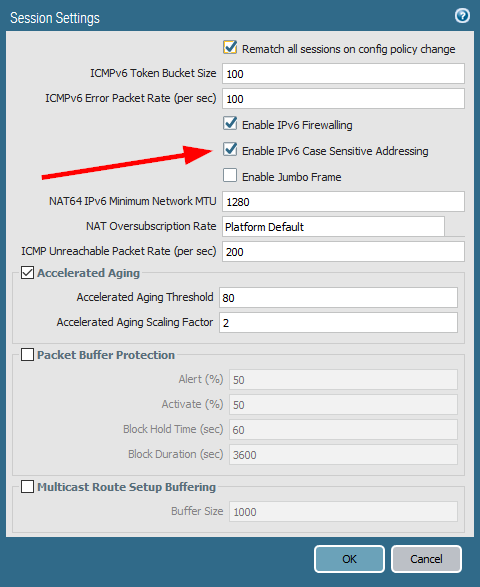 However, keep in mind that this will only work if your overall network infrastructure supports this case sensitive IPv6 addressing scheme as well. Yes, we will run out of IPv6 addresses one day. Since any kind of NAT/NPT solution should be avoided completely, this case sensitivity of IPv6 addresses is a quite good and working approach. Nice to see that Palo Alto Networks has already implemented it. Featured image “ABC” by Jeremy Brooks is licensed under CC BY-NC 2.0. Guys it dirtiest way to go. RFC newer allowed this in wide. Wakeup DNS are case insensitive! All www are case insensitive almost anywhere! How are you planning to end with this? Did you know how you get most of IPv6? And if you have DHCPv6 and not bugging clients you can assign really static IPv6, then you can disable stateless autoconfig and save IPs for half of plannet from one pure /64. Quick question: how are you playing CIDR on the Case sensitive IPs? especially considering 6 extra choices per character, which is clearly not an integer number of bits. and even the whole IPv6-CS address is not a whole number of bits either. Base-32 or 64 might have been a bit more fun.